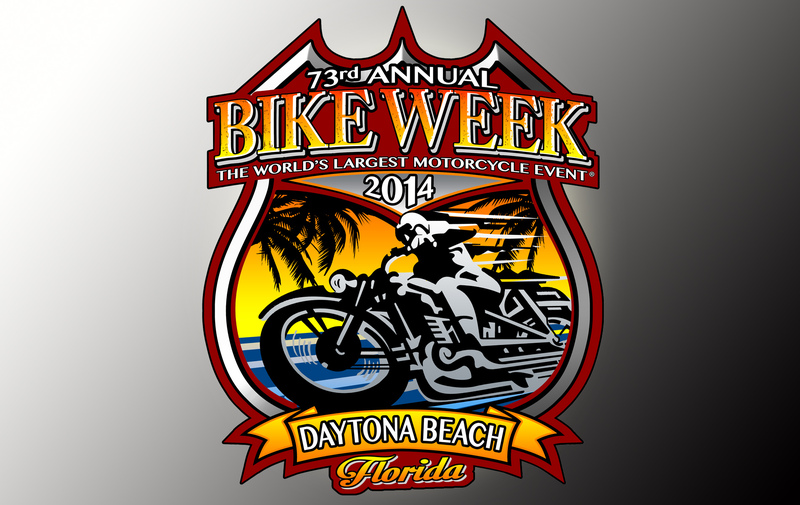 Tens of thousands of motorcyclists are heading to Daytona Beach for Bike Week 2014. Bike “week” is actually ten or more days of festivities in the Northeastern Florida city. How did it all get started and what can you expect? Well hang on for a look at Daytona Bike Week. Bike week started way back in 1937 with the running of the very first Daytona 200. The 200 is a motorcycle race that took place, in part, on the hard sands just south of Daytona Beach. The first race was won with an average speed of just over 73 miles per hour. Starting times for these early races were based on when the tides allowed them to occur! Ten years later the race featured almost 200 riders and residents were opening up their homes to the riders and their families. Bike week had quickly become a big party. Today the motorcycle races continue at the Daytona International Speedway. The parties continue as well, and they can be found everywhere throughout the region. Bike week is part Mardi Gras, St, Patrick’s Day, New Year’s Eve and Halloween… all on two wheels. The roads around Daytona are filled with all types and styles of motorcycles. The central hub of bike week is Main Street just west of the beach. It is here bikers continually “shoot the loop” and jam local bars and temporary tents set up with all type of entertainment and contests. Bike week features a variety of eclectic events. There is cole slaw wrestling at the Cabbage Patch, a small bar, but very large camping area, just to the southwest of Daytona. The Budweiser Clydesdales parade both at the Speedway and down Main Street. Destination Daytona, a Harley-Davidson dealer in nearby Ormond Beach, hosts many contests and concerts, and Daytona International Speedway is a center of all types of activities and motorcycle races. If you are heading to Daytona in a car or on a motorcycle between March 7th and March 16th, please make sure you employ defensive driving techniques. Sadly, it seems every year a few bikers will lose their lives on area roadways. Florida does not mandate the use of helmets for motorcyclists, but it is something to consider, especially this time of year. Enjoy Daytona Bike Week but please, do so safely.